Christofle has been collaborating for long with many famous designers, such as Martin Szekely, Andrée Putman, Ora-Ito, who are called to design collections of hosiery, inspired by their sensitivity. 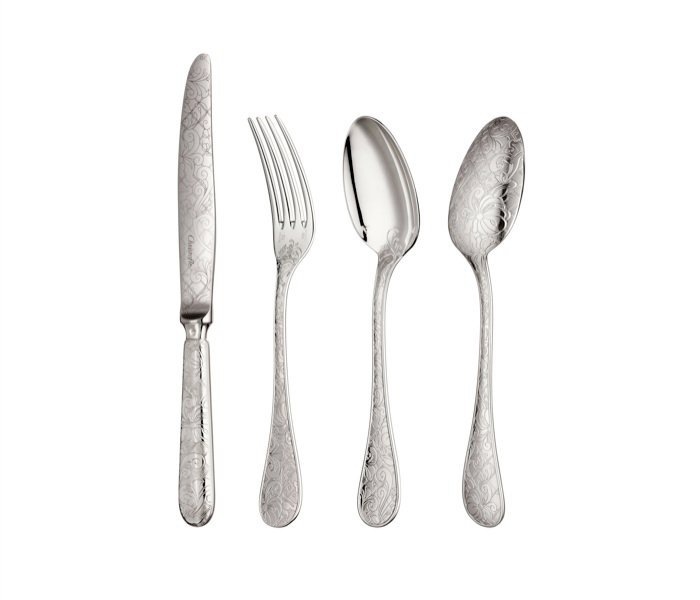 This is the time of Marcel Wanders, who marked forks, knives and spoons with leaves, flowers and curls. MAC & Marcel Wanders: Combination Extraordinaire!